By Sunday the 12th our Mull withdrawal symptoms were really starting to bite having spent over a week away from the ocean. 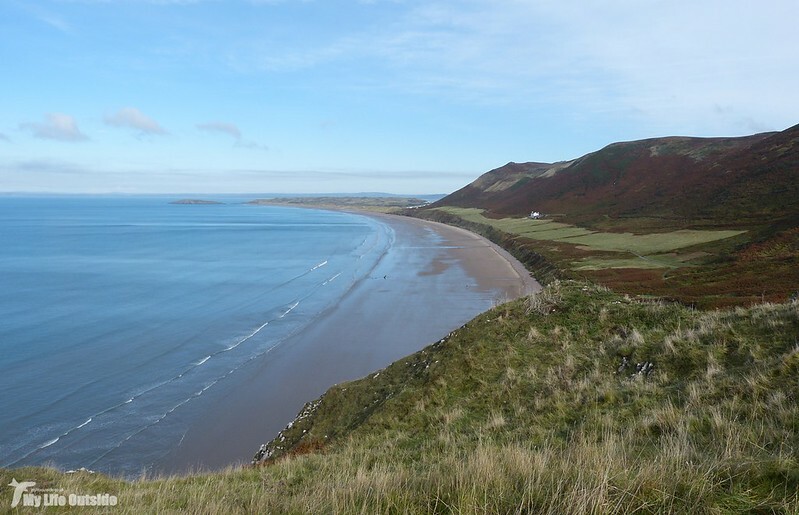 Clearly this state of affairs couldn't continue so after a quick check of the tides we headed down to Rhossili with the intention of walking across to Worm's Head. With a good weather forecast we clearly weren't alone in our plans with the path along the cliffs swarming and car parking prices higher than they had been during the summer! Fortunately there's plenty of space to swallow the numbers and it was relatively easy to find ourselves walking along unaccompanied. 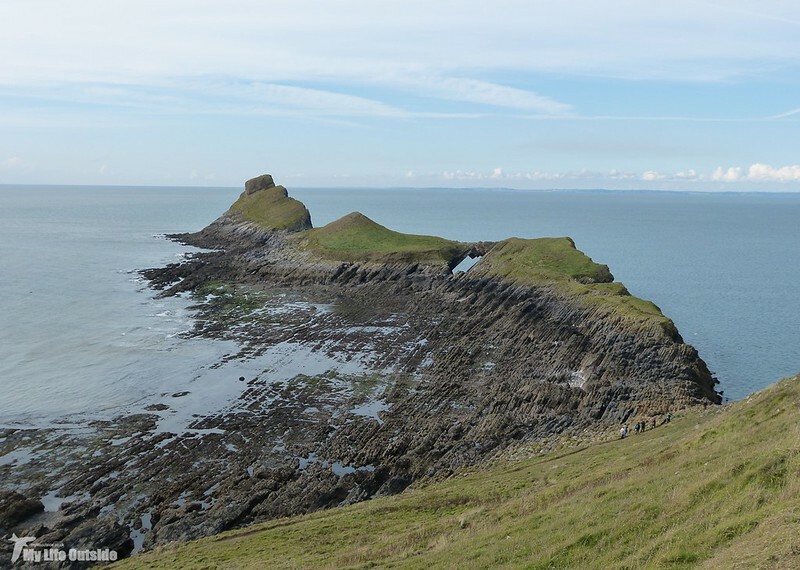 The views looking out to Worm's Head were still as impressive as on our very first visit here some seven years ago now, as was the sweep of Rhossili Bay off to our right. Interestingly there was a new line of posts sticking out of the sand which at first glance appeared to be another shipwreck exposed as a result of the beaches ever changing profile. Closer inspection however revealed them to be far too linear for those origins and suggest perhaps some remnant of second world war defences, possibly barbed wire intended to prevent invasion. Given the number of people making their way down the main path I was pleasantly surprised to find good numbers of birds along the cliffs and Gorse. 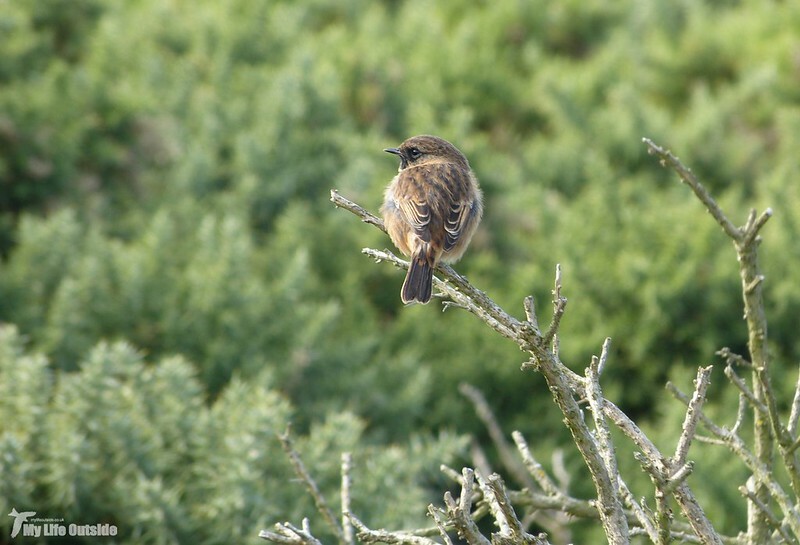 Wrens, Jackdaws, and various Gulls were to be expected but there were also very good numbers of Stonechat present including two family groups numbering four individuals apiece. When they weren't busy chasing each other around it was possible to get a couple of good photographs despite the relatively flat lighting. A Raven calling loudly put on a grand show roughly half way out but what we were really interested to see was if there were any signs that the Crow nest we spotted a while back had been successful. Despite our best efforts however the question remains unanswered as not only had the nest vanished, so too had the cliff upon which it sat! I guess our concerns about it being a very exposed site proved even more valid than we could have anticipated. Still at least they'd have enjoyed some fabulous views even if only for a brief period. 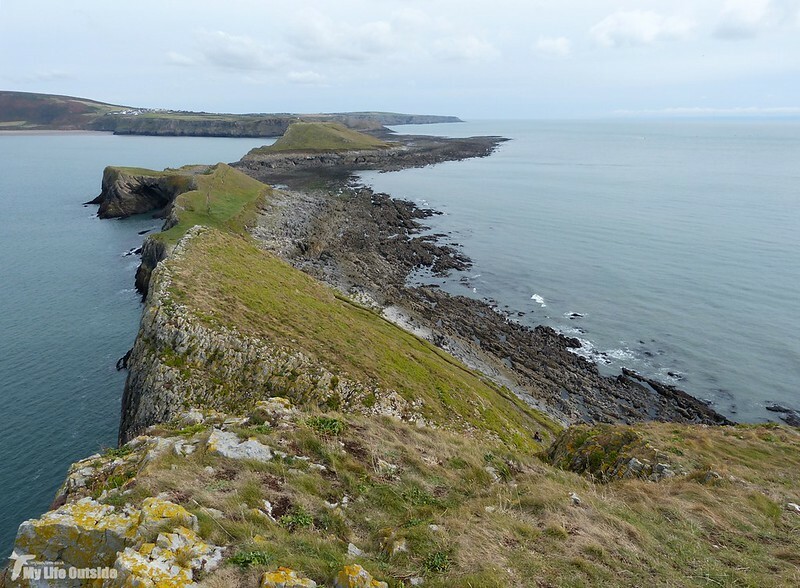 With the tide still covering the causeway we spent a while wandering in the direction of Mewslade. Here Stonechats were once again very prevalent but they were quickly overshadowed by a Sparrowhawk approaching from across the bay. Unsurprisingly it sent a flock of feeding Linnets and Goldfinches over on the Vile into an absolute frenzy, not that the commotion seemed to interrupt a Buzzard sat nearby. 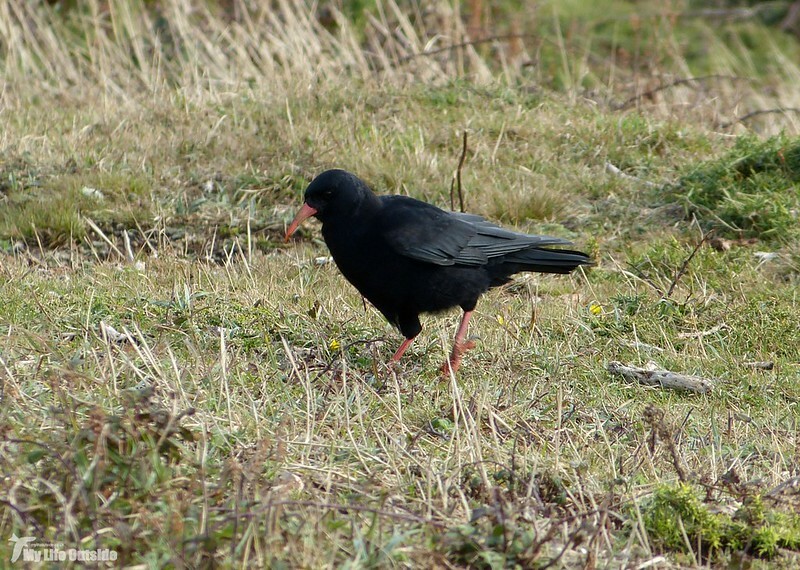 Better was to come with the sound of a calling Chough behind us heralding the arrival of two of the birds themselves. They rounded the headland and alighted on an area of cropped grass not too distant from where we stood, only to be joined moments later by a third. As always their glossy black plumage seemed to play havoc with my auto focus system but I did manage to capture the following. A passing dog sent them back into the air but we soon relocated the group just off the main path. 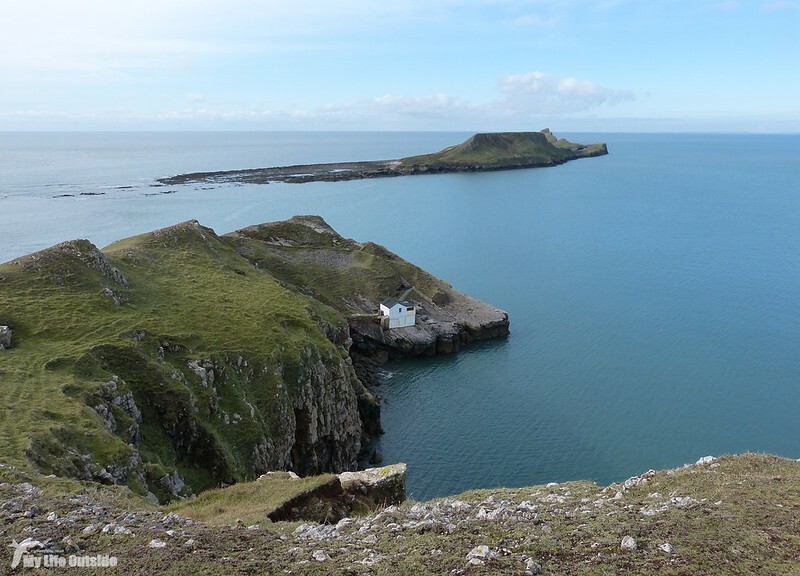 Remarkably they'd been joined by another five individuals making a flock of eight, by far my biggest count on Gower. Looking online however there's a distinct possibility that even more were about with a count of between twelve and seventeen reported from the same location. Remarkable. 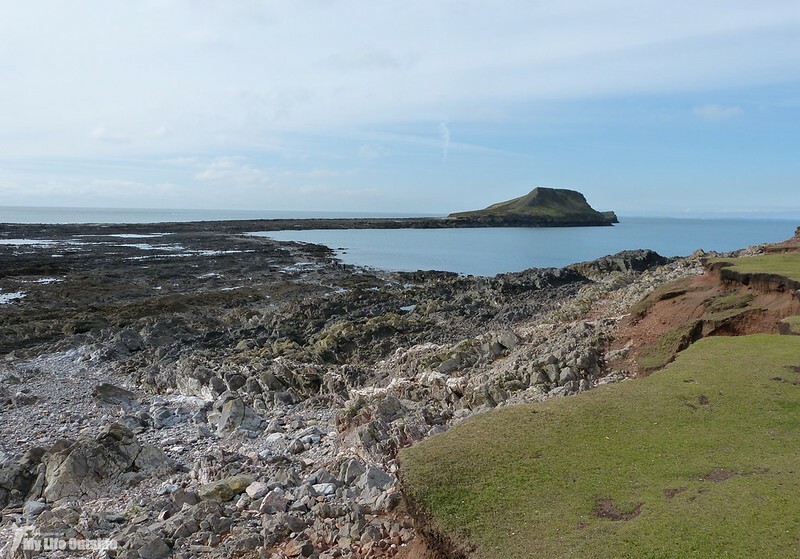 By now the tide had finally dropped enough to allow passage across to Worm's Head, an invitation which we duly took. I'd forgotten quite how annoying the tilted strata is here meaning that instead of flat rocks along which to hop you're constantly balancing from one edge to the next. At least the extra focus at ground level made it even easier to notice a distinct change in the Mussel beds here which in the not too distant past were thick with deceased specimens. Whether or not that debris has been cleared away by the winter storms I can't be sure suffice to say that where the Mussels still exist they seem relatively healthy though in much lower numbers. 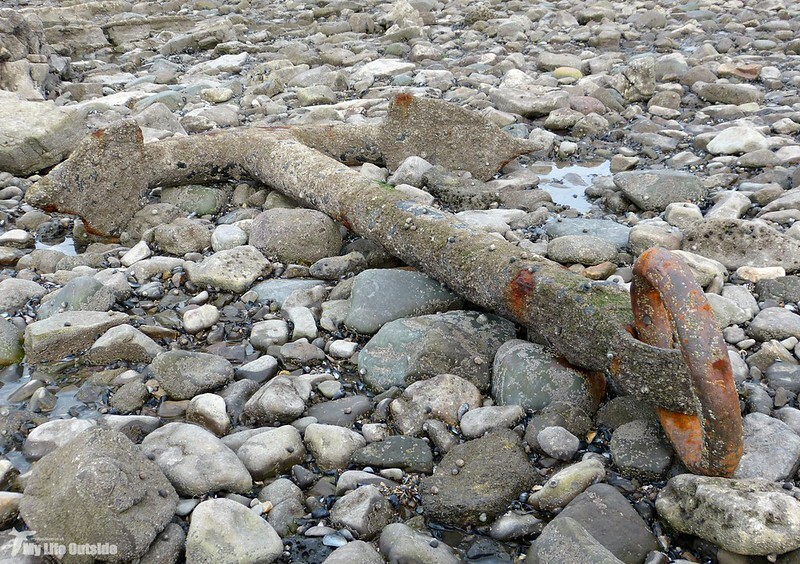 Nowhere else was that more evident than around the old anchor which now sits completely proud of its surroundings. 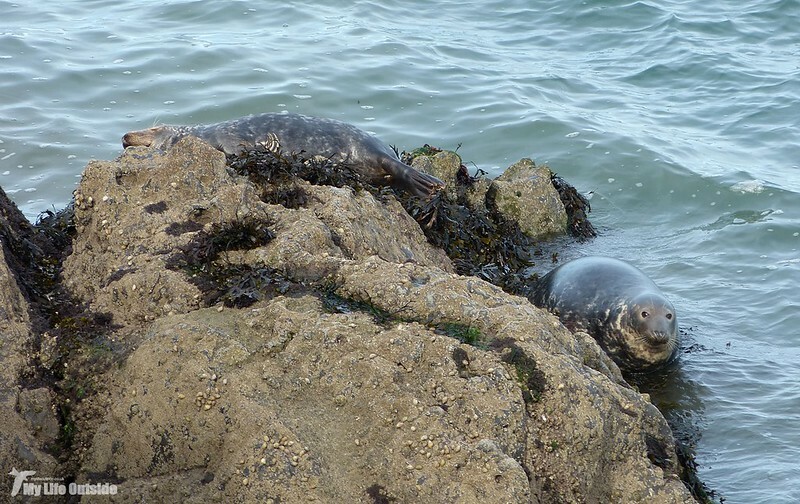 Over on Worm's Head itself we were greeted by the resident Grey Seals, several of which were hauled out with one individual considerably higher than the rest. 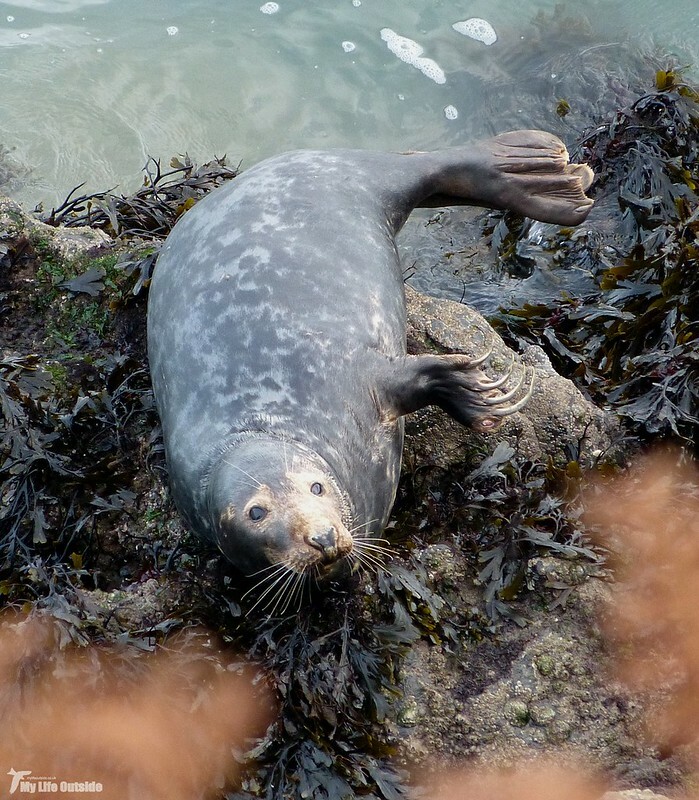 I can only assume that it had been caught napping as the tide dropped and was now faced with a significant leap of faith back into the water. Perhaps sensing its comrades angst another Seal gave a superb display of its claws, something I've never seen before and definitely a case of being in the right place at the right time. 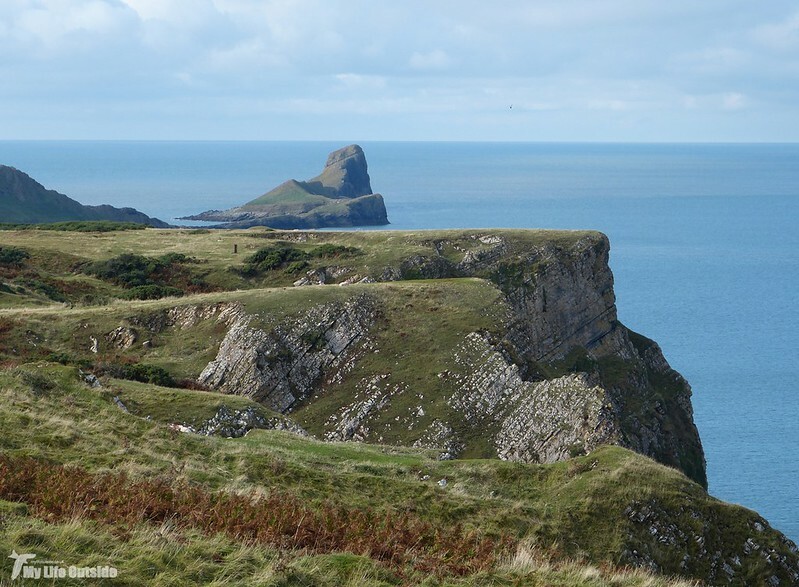 From here the path takes you up and over the three distinct sections of Worm's Head until a final vertical scramble brings you as far as it's possible to get. Normally off limits during the breeding season this elevated position gives expansive views in all directions with the view back the way you've come probably one of the best to be found in Wales (and that's considering some very worthwhile competition). 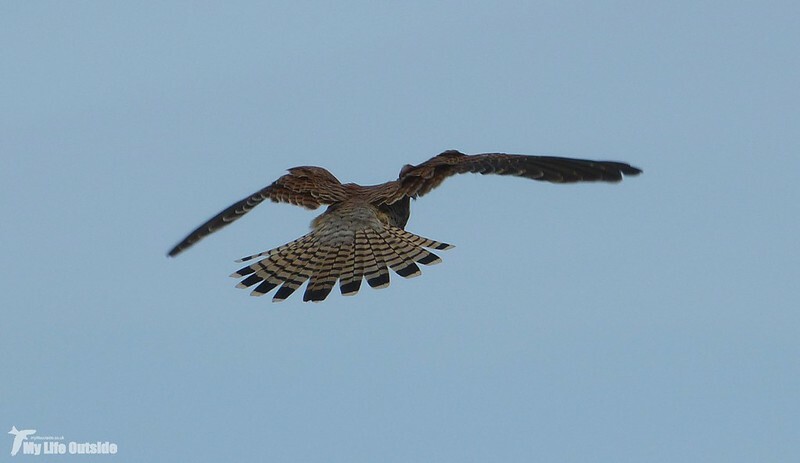 Although birds were hard to come by this far out we did spot another (or the same) Sparrowhawk, several Gannets, a few passing Common Scoter plus a hovering Kestrel. There were also hundreds and hundreds of Red Admiral butterflies, many seemingly coming in from the sea. A bit of research confirms that this species migrates south as winter approaches so either there had been a recent mass emergence event or these were individuals on the move from mainland Wales to the north. Heading back we chose a less arduous route across the now fully exposed wave cut platform before climbing up to the lookout. 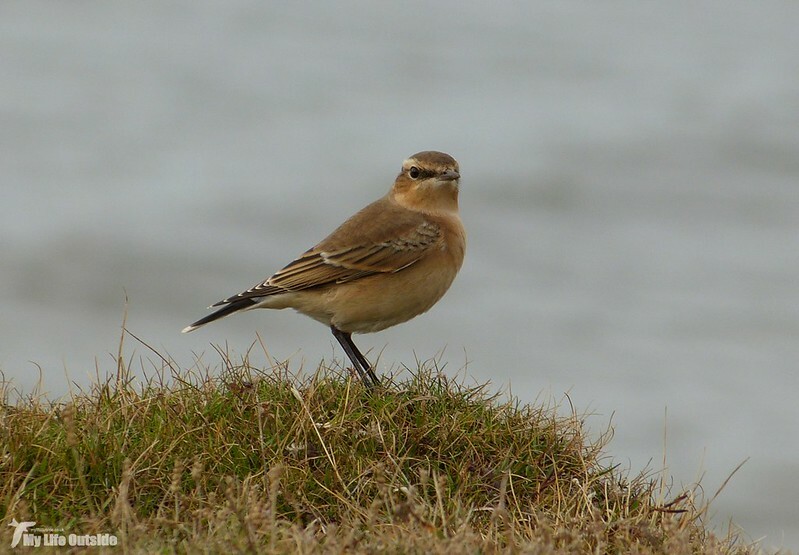 Here a rather smart Wheatear was busy hunting insects and seemed entirely oblivious to our presence. The day finished off nicely with a Peregrine Falcon perched atop the church near Pitton Cross. It certainly made for a pleasant change to see one out in the countryside instead of perched up on my office block. I have never seen a seal do that. They do chase the dogs but the dogs know to keep well away. Nor me and I think your dogs have the right idea with claws like that at a Seal's disposal.